Take in the highlights of Perth and explore the historic port town of Fremantle on this full-day tour. 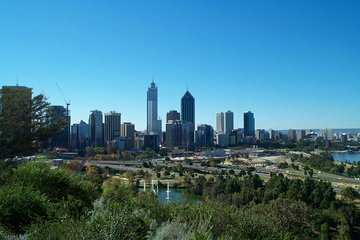 Admire Perth landmarks such as Perth Gold Mint, the Bell Tower, and the WACA; enjoy a treetop walking tour of Kings Park; and visit Fremantle, famous for its market and ‘Cappuccino Strip’. Finally, return to Perth with a scenic cruise along the Swan River and sample regional wines on-board as you sail back into the city.